but there is no additional information on the exact location. What is this building, and where is it located? 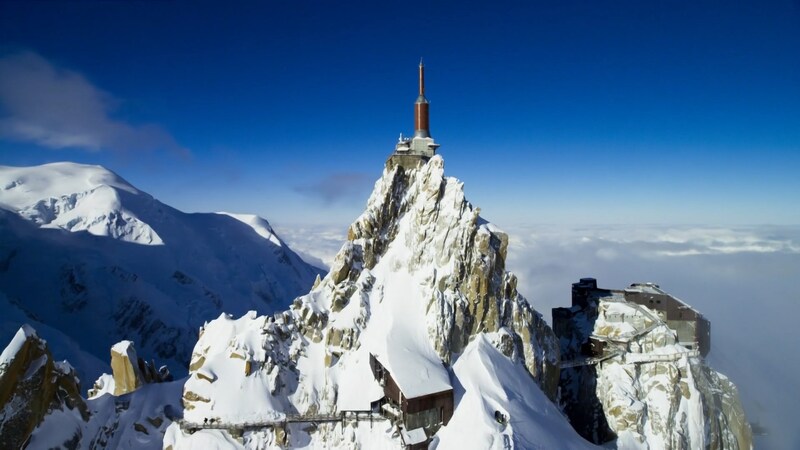 It's the top station of the Aiguille du Midi cable car, and also one of the two end points of the Panoramic Mont-Blanc gondola, which runs across the Vallee Blanche and in to Italy. 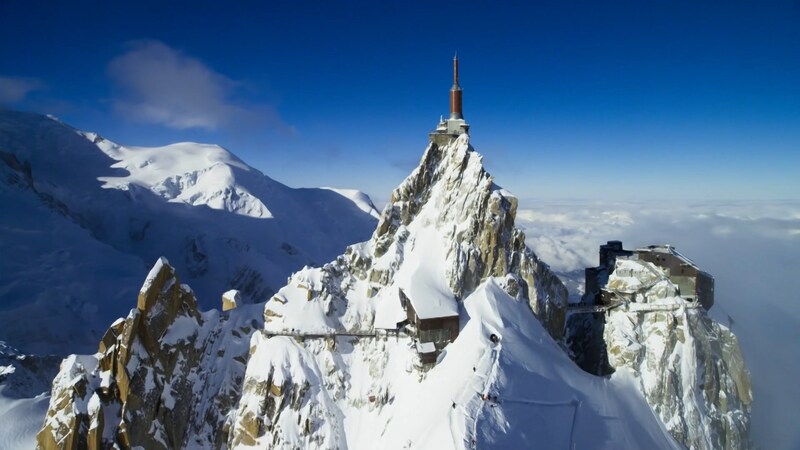 It used as both a panoramic viewing point for tourists, and as a starting point for glacier hiking, parascending and climbing in summer, and skiing in winter. There's also cafe and restaurant facilities, and normally some exhibitions within the building. There's also a half-way stop where one changes cable cars on the ascent with a cafe.